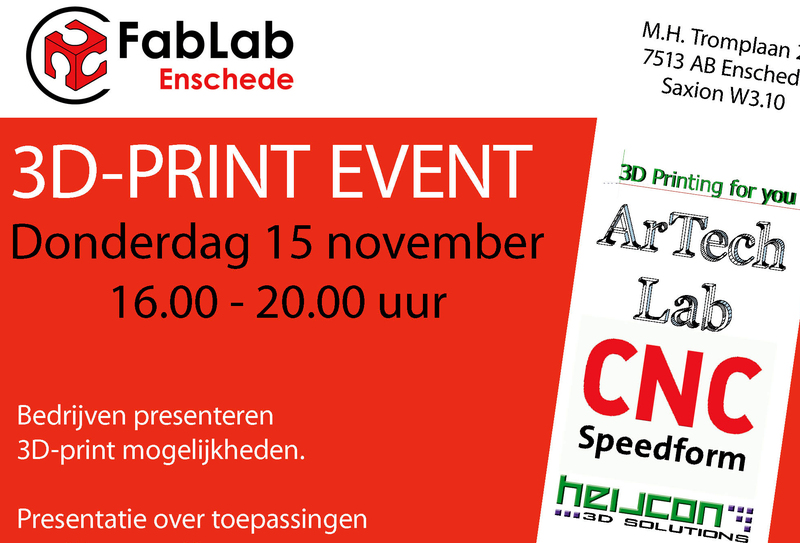 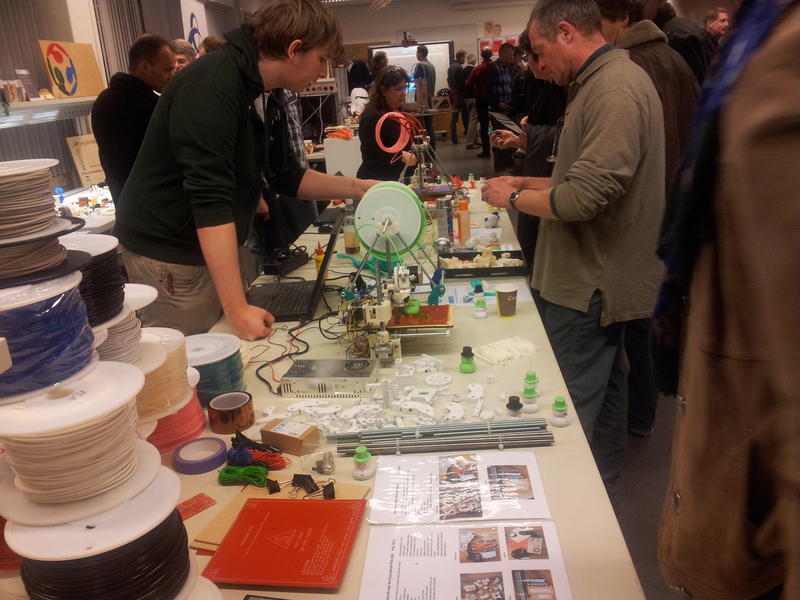 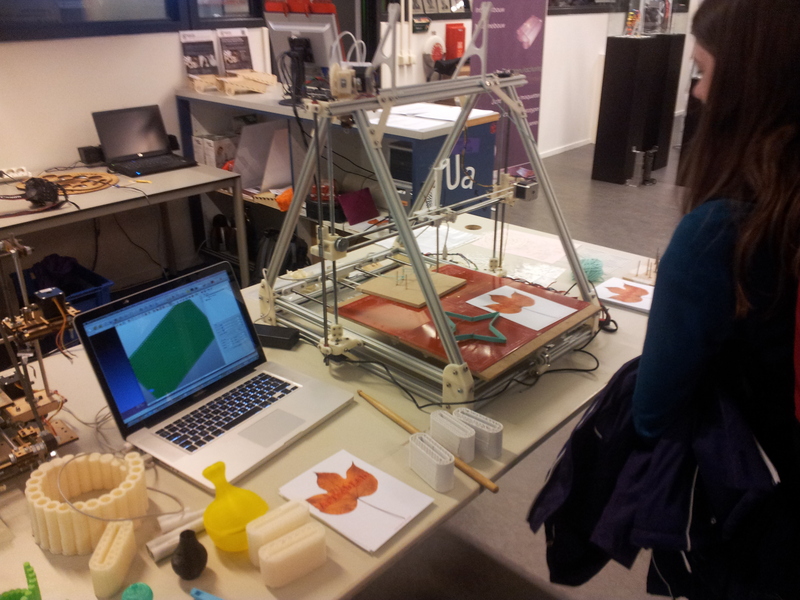 ArTechLab participates in the 3D printing event at the Fablab Enschede, showing our Mendel Max 3d printer and students work. 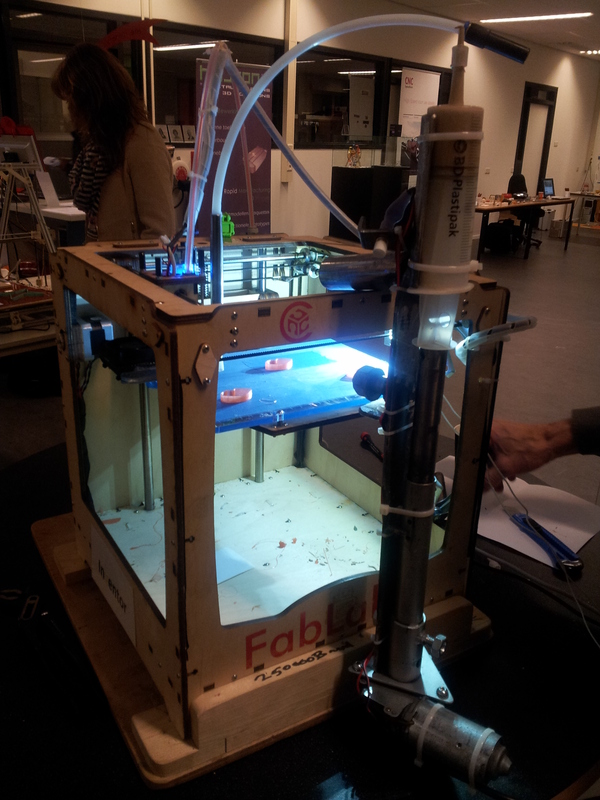 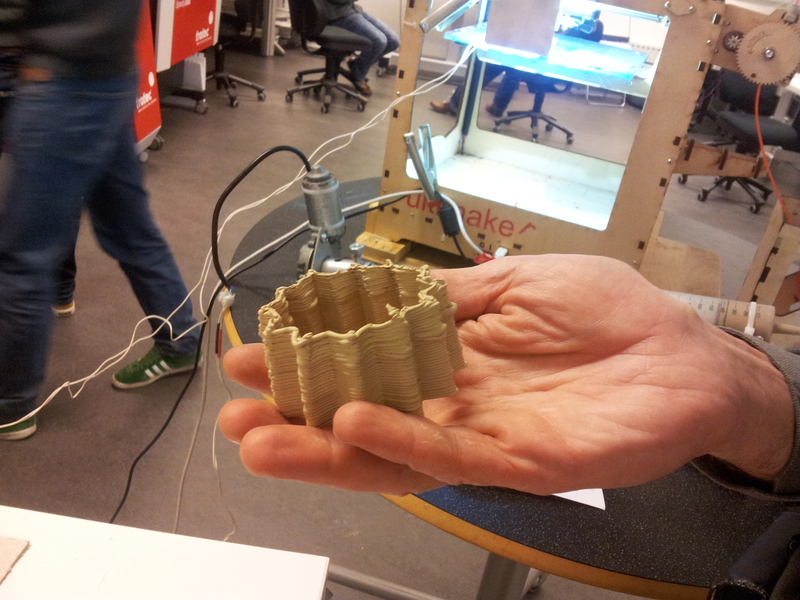 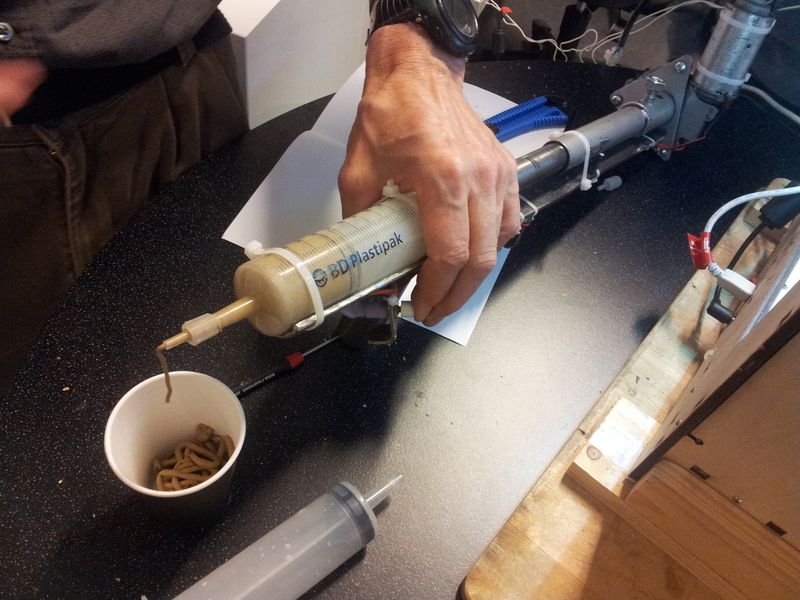 Together with the Fablab Enschede we’re working on a ceramic printer. 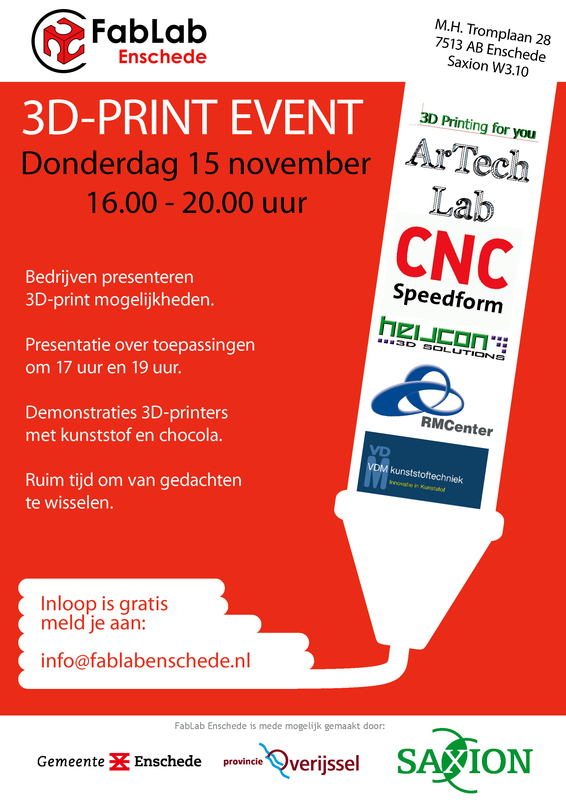 This to unite the ceramic workshop at our ArtEZ academy with the ArTechLab and Fablab Enschede. 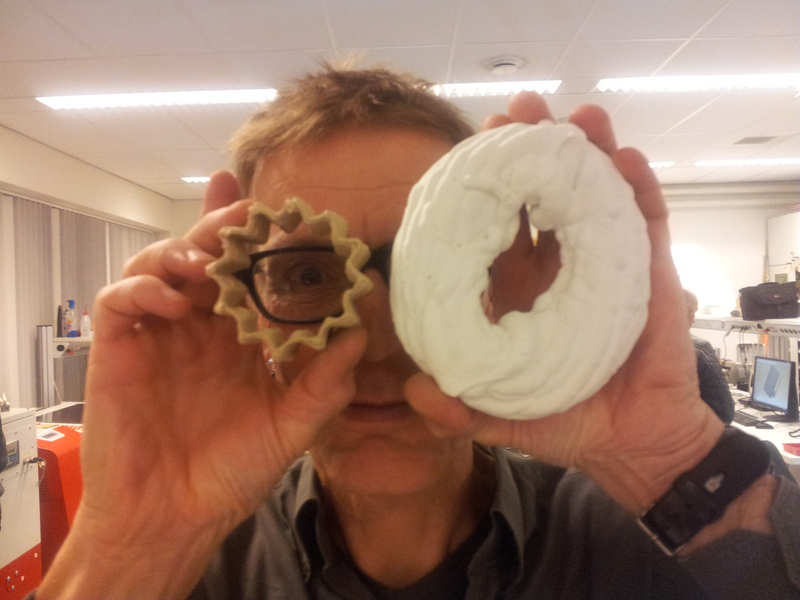 Below you can see Wout Zweers with his first printed ceramics.